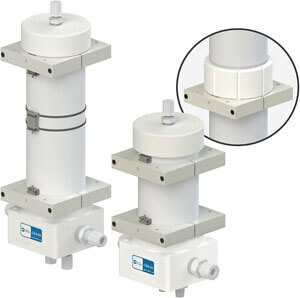 CBA Series debubblers reduce bubbles from high-purity chemical delivery and wafer process systems. They feature 4-in inside diameters, which offer debubbling greater surface area. They are available in various connectable pipe lengths. They feature configurable port connections, and tongue-and-groove seals. Liquid level sensor to mount is available.